Experience genuine service from our professional, responsive and friendly staff when you stay at our Quality Inn and Suites Anaheim at the Park hotel in California. 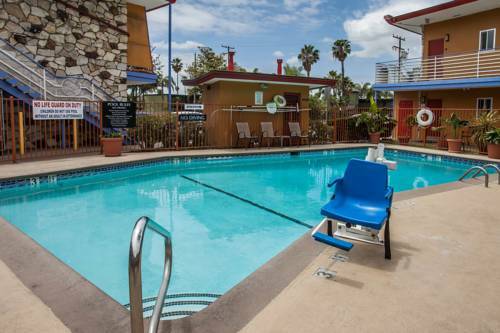 We are close to the Anaheim Convention Center Arena, John Wayne Airport, Downtown Disney and Knotts Berry Farm. Each guest can take advantage of our free WiFi, free breakfast, free weekday newspaper and outdoor heated pool. Relax after a long day in one of our guest rooms, all of which feature a hair dryer, coffee maker, desk, microwave, refrigerator and TV. Sign up today for our Choice Privileges program and start earning rewards points with your next stay. *Some amenities may require an additional cost.